This week’s Blogger Round-Up takes us to Lisbon in Portugal with Jenny and John in Brittany, a place that is definitely on my shortlist while Adelina from Pack Me To visits the inside of the Parliament Building in Budapest which we didn’t see on our visit to Hungary last summer. Margo Letsz from The Curious Rambler, whom you met last week explains the importance of being polite in France, which you may remember from my post on bonjour. Enjoy! by Jenny and John in Brittany, who recently left Stockport, England to live in France where they are renovating a house to create a B&B. 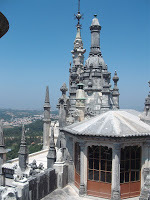 Lisbon is an amazing city, there is so much to do and so many places to visit, I am not going to go into much detail as the pictures say more than a thousand words. The one thing I would recommend though is to go on the trams, we did not work them out and just jumped on one we saw, you can pay on the tram or get a day pass (the day pass is highly recommended as this allows you to travel all day and costs approx the same as two rides when you pay on the tram). by Adelina from Pack Me To, a Chinese American who’s been traveling for as long as she can remember and has lived in the Netherlands and Hungary. She loves telling stories, and eating and exploring her way around the world. 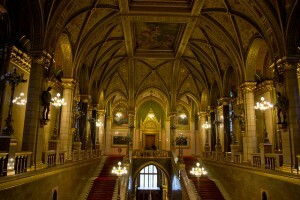 Visiting the Parliament building in Budapest has been on my to do list for a long time. 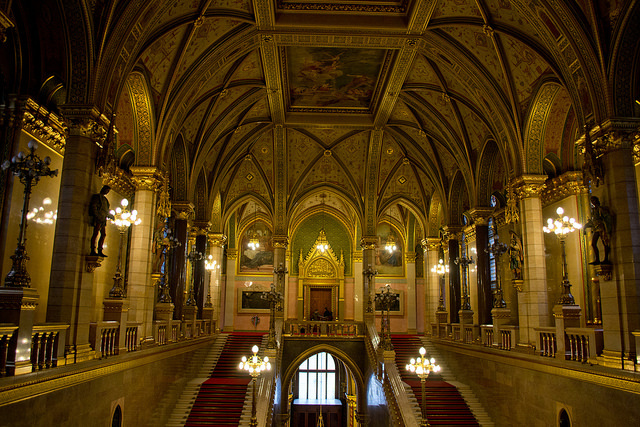 I had seen photos of the inside of the Hungarian Parliament building, which looked spectacular, and I wanted to see it for myself. A building that looks so magnificent on the outside is sure to look glorious inside right? I was not wrong. At this café in Nice, France, minding your manners can significantly reduce the price of your coffee. 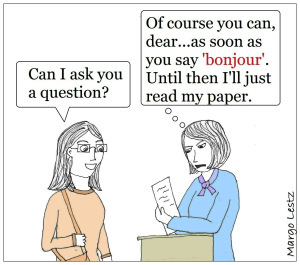 Of course, this was meant as a humorous way to remind customers to be polite, but it’s a great illustration of the French attitude toward good manners. This entry was posted in French customs, French language, Hungary, Portugal, Sightseeing, Uncategorized and tagged bonjour, lisbon, Parliament Budapest. Bookmark the permalink. Thanks so much for the inclusion Rosemary! Really enjoyed the other two posts as well. I’m enjoying your visit to Budapest!